In 2012, the top 1 percent ranked by their health care expenses accounted for 22.7 percent of total health care expenditures with an annual mean expenditure of $97,956. 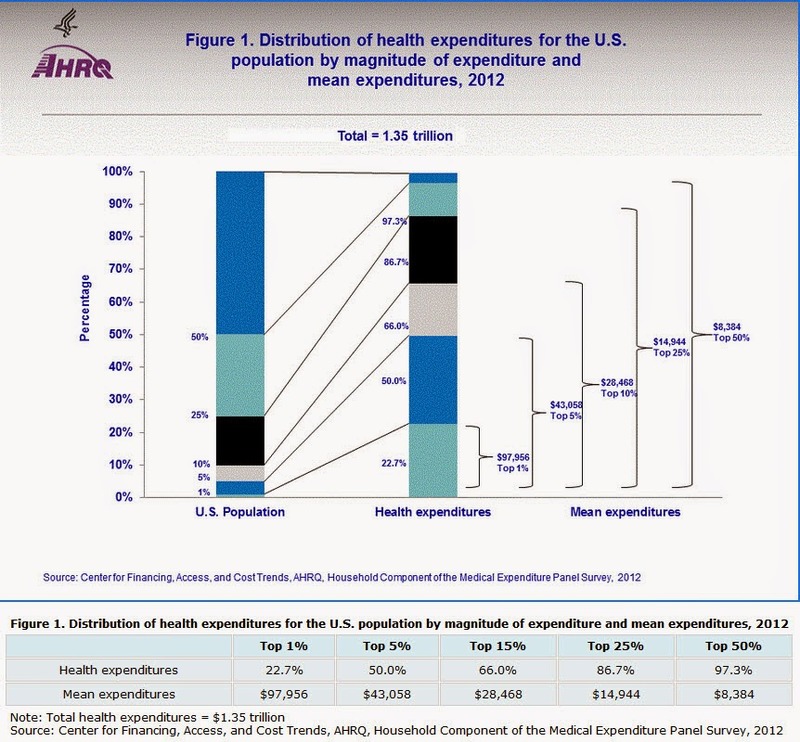 Overall, the top 50 percent of the population ranked by their expenditures accounted for 97.3 percent of overall health care expenditures, while the lower 50 percent accounted for only 2.7 percent of the total. The top 5 percent of individuals with four or more chronic conditions accounted for 29.7 percent of health care expenditures for this subpopulation with an annual mean of $78,198. Based on chronic condition status, persons with four or more chronic conditions had the lowest concentrated levels of health care expenditures and higher annual mean expenses at the top quantiles of the expenditure distribution."